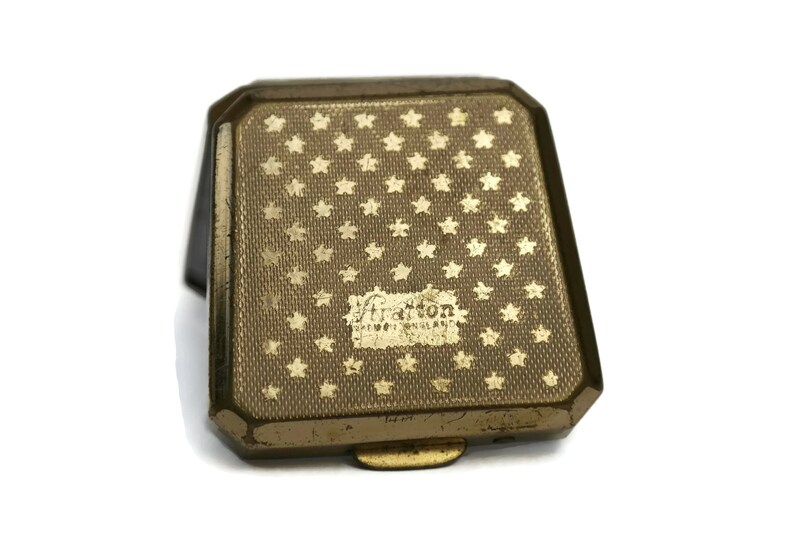 Vintage Stratton Pill Box. 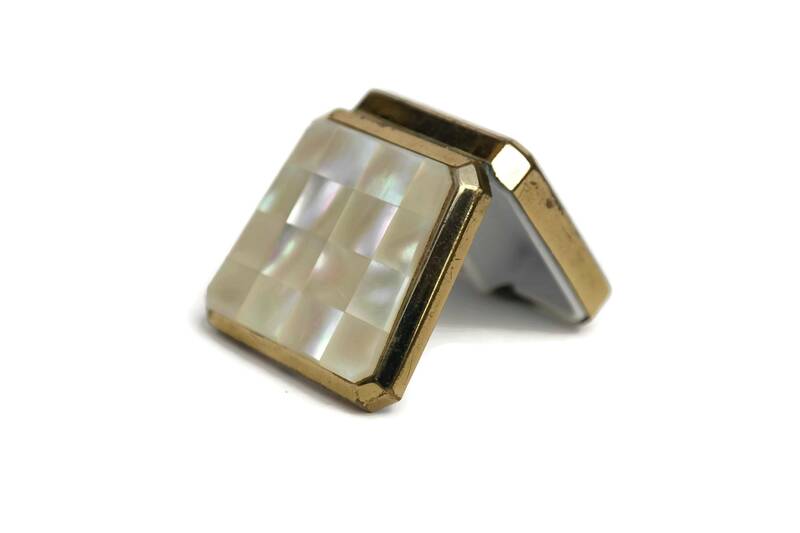 Mother of Pearl Double Sided Pill Case. 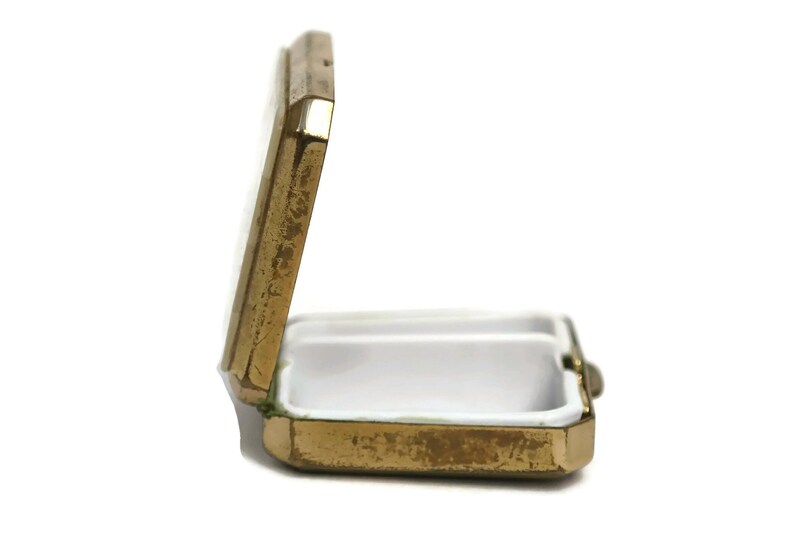 Tooth Fairy Keepsake. 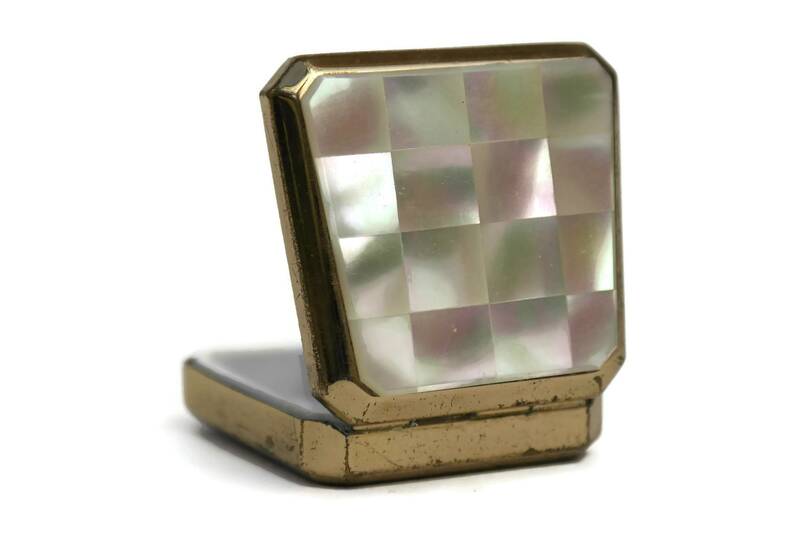 Purse Pill Compact Container. 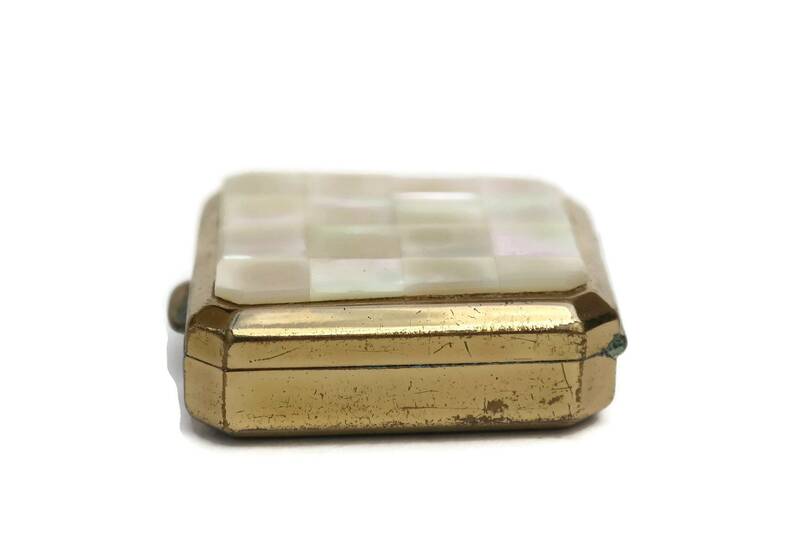 A lovely vintage Stratton pill box made in England from the 1960s. 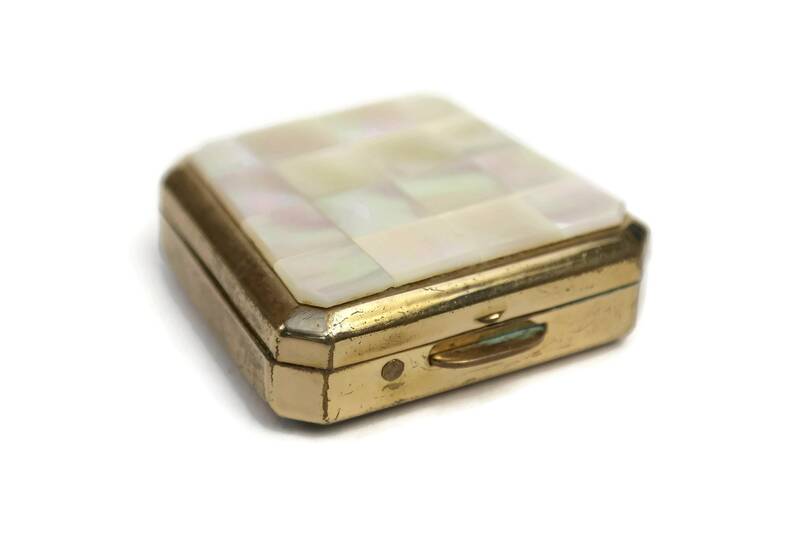 This gold tone Stratton box features a mother of pearl inset lid and opens with a push latch to reveal a double sided plastic interior. 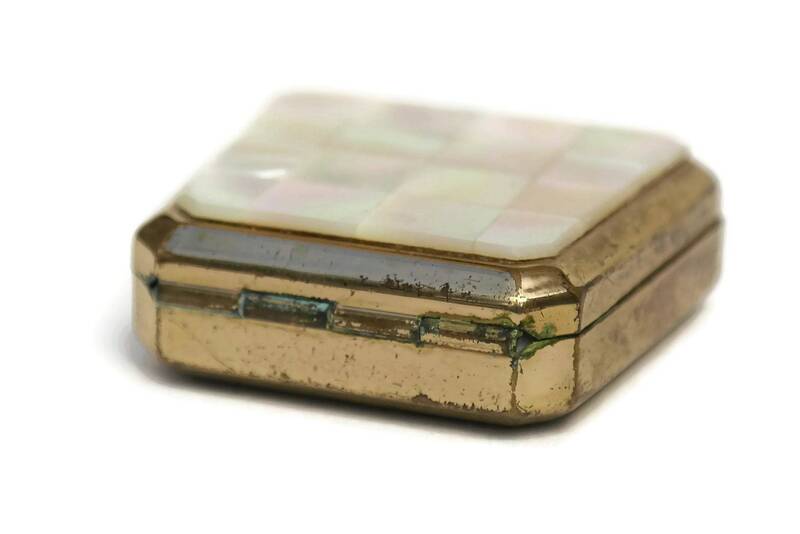 The back of the purse pill compact container has the well known Stratton starred background with the manufacturer's mark. 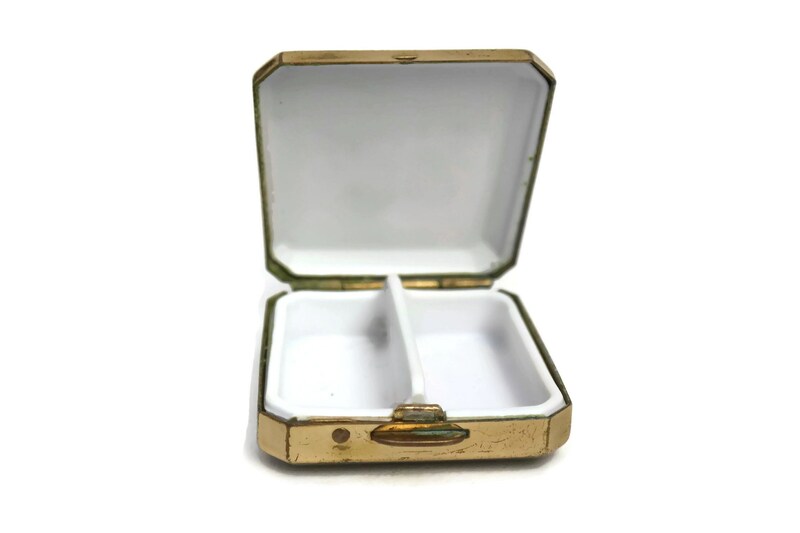 You can use the box to store your medicine or as a tooth fairy keepsake. 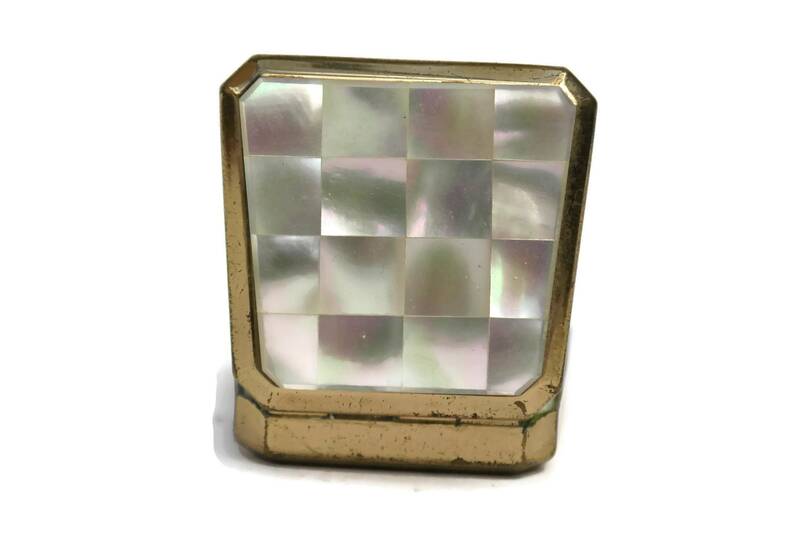 1 1/2" Long x 1 1/2" Deep x 1/2" Tall (4 cm x 4 cm x 1 cm). 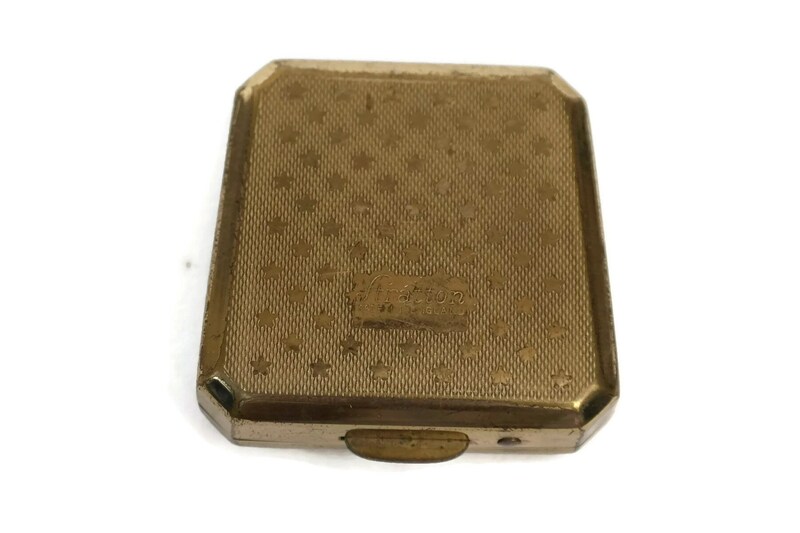 The Stratton pill holder is in very good condition with patina and light surface scratches to the gilt plating.